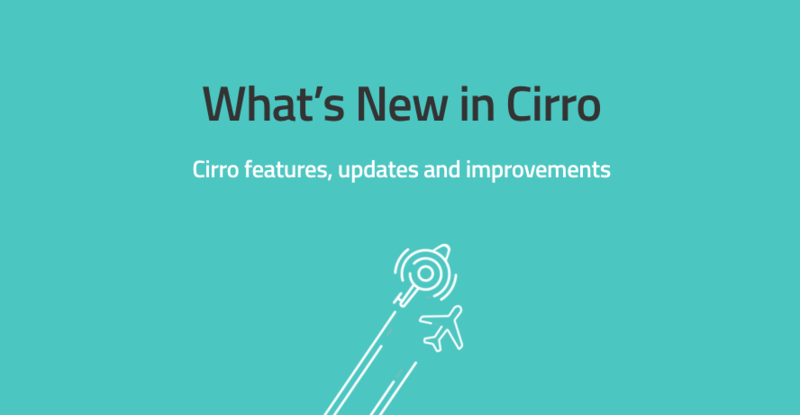 With the latest release of Cirro, we’ve made it a breeze to add offline satellite data layers to your device. To do so, click on the maps and charts module and select the option Manage Offline Data -> then select Satellite Imagery. You have the choice to select from a list of map tiles or from the map itself. And that’s it. Offline satellite data. One big part of the recent update is the new quoting module that makes it a cinch to create, edit, approve and manage quotes. Custom quote fields, reusable templates, and e-signatures add flexibility and customization out of the box. Save time, eliminate mistakes, and get paid faster with the new quoting module. It’s currently released in beta, meaning there’s likely still a few kinks to work out. But if you’re interesting in getting your hands on the new module, let us know! The clients and jobs module now has a new feature that allows you to attach an account balance to any client. Users can toggle on the option to track account balances by either creating a new client or by editing an existing client. Particularly useful for flight schools, this option allows you to create student balances that can then be tied to invoices that pull in flight report and flight duty time information. Admin users can now pull reports on submitted expenses. Through the Admin Module -> Reports -> Expenses you can apply several different filters and then generate an overview of expense data that can be exported into a CSV file. In addition to the admin reporting updates, users can now submit expenses for a new category. From the expense module, the per diem option in now available from the list of previous options. Not every update or new feature can be a grand slam. Sometimes the small ball approach is the way to go. Alright, enough sport analogy. The sortable billing columns update is a small change that just makes things easier. In the different billing and invoicing modules you can sort on various columns by clicking on the column title. 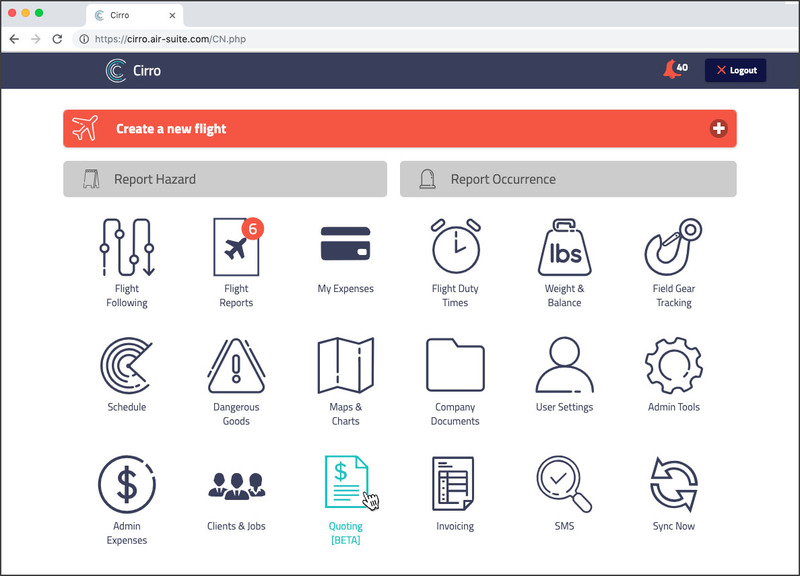 Cirro’s timesheet report makes it quick and easy to view and export employee info that relates to flight reports and flight duty times. For easier reference, the table now includes job numbers and job names. Useful tips and valuable resources, sent out every other month.